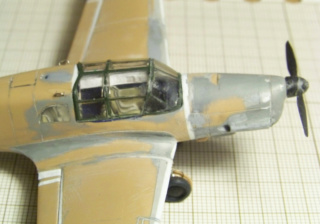 >> Modellius : Will be this Bf 108 B civil or military plane ? If it's a civil a/c, seats are OK.
On military planes seats were made of fabrics. 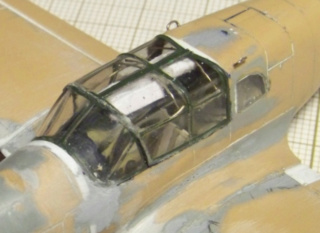 Another detail : don't forget to make curtains under the transparent roof of the canopy. And I try some different approach, to break up the military look..... Static grass and flowers are Model Scene products and they are great !